As soon as it gets cold, so nowish, I pretty much love roasting everything. 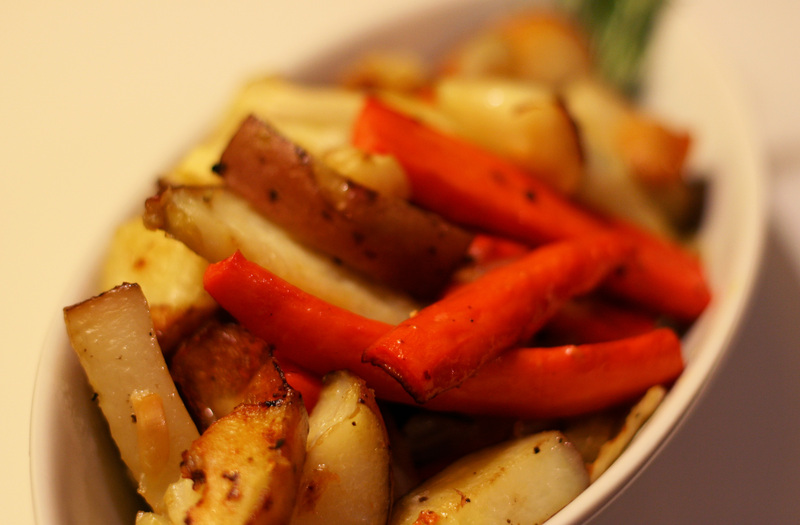 This recipe is one of my go-to sides for the fall and it goes great with beef roasts, chicken, pork, really anything! I love being able to toss everything in the oven and forget about it until it’s ready to come out and tastes all caramelized and delicious with barely any effort. Give this easy peasy dish a try and let me know what you think! Preheat the oven to 375 degrees. 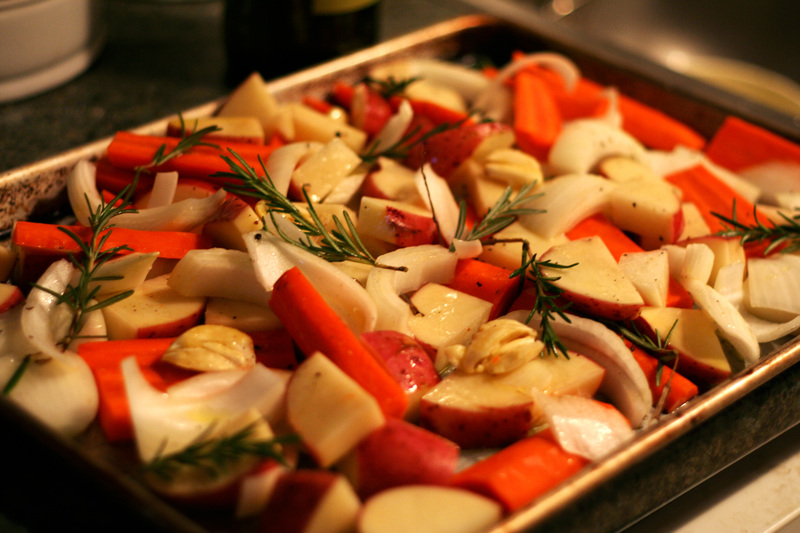 Toss all above ingredients together on a sheet pan, making sure all pieces are well coated with olive oil. Cook for about an hour, flipping all of the vegetables about halfway through. 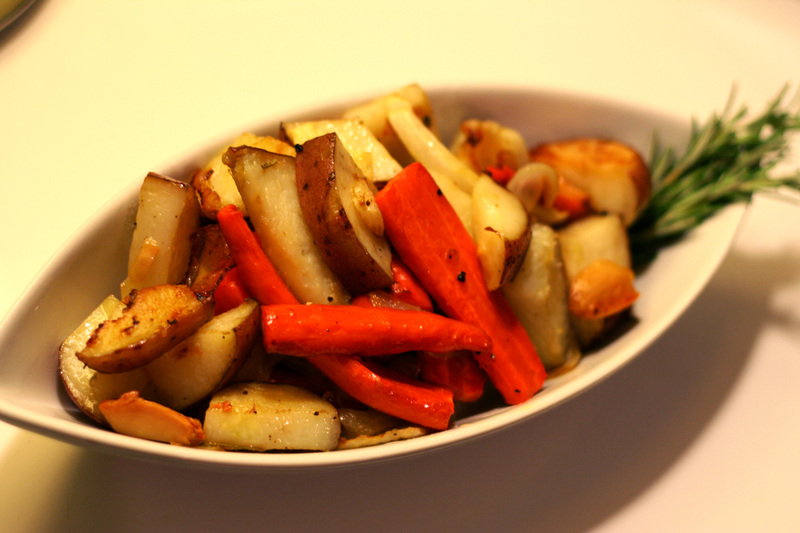 Once the potatoes and carrots are tender, remove, serve and enjoy!